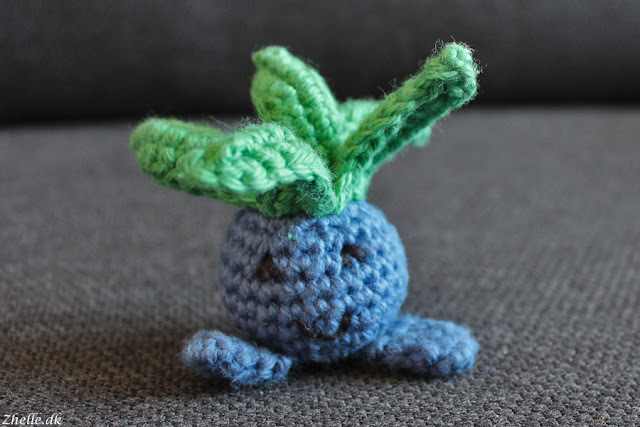 Today I would love to show you a little pokemon! 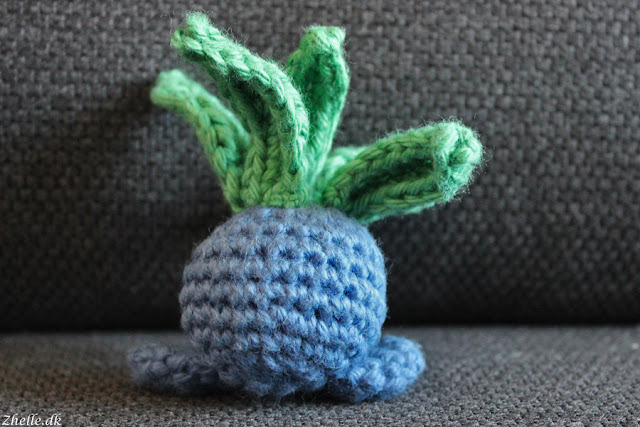 When I first started crocheting pokeballs, I saw the pattern for a little Oddish as well, and I decided that I had to try make one. 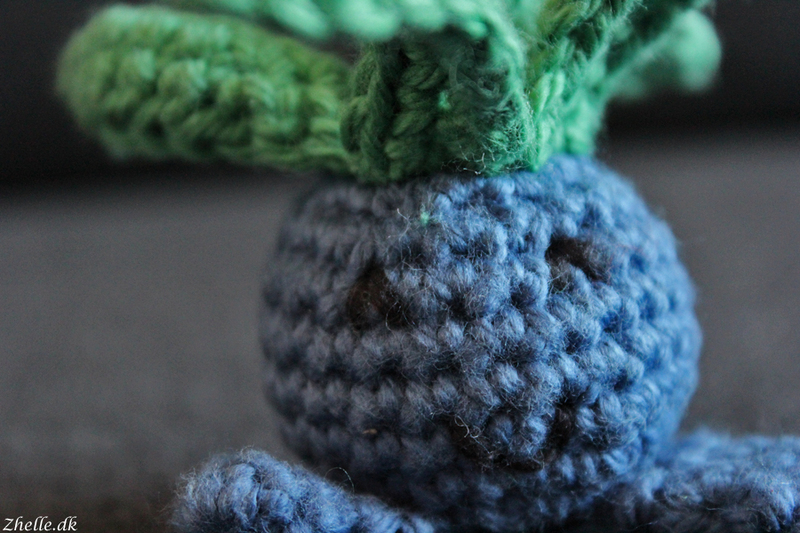 I bought a lot of yarn back in February and among it both green and blue yarn. So I have plenty of yarn to make one from my yarn stash! A couple of weeks ago my cousin celebrated his birthday, and among his wishes was one simply saying "Surprises". 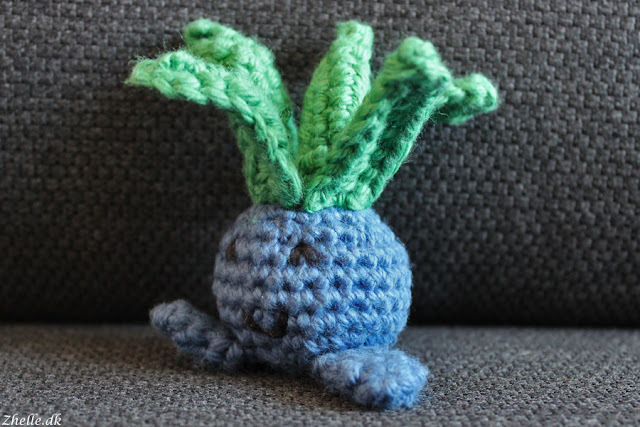 As I know he likes pokemon a lot, I decided to make him Oddish. It is a very quick project to make, so even though I didn't decide until Thursday evening, I had plenty of time for a little Oddish to be made for Saturday. I adore him, and I make another one for myself! The pattern is from Nicoles Nerdy Knots.